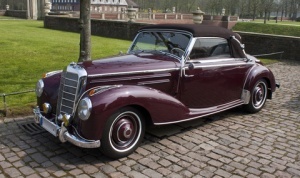 Limited Car Use: Most policies require that your classic car must be used on a very limited basis, such as exhibitions, car shows, or car club activities. A definition of limited usage can be found in the insurance policies. also try to understand if there is a miles/kilometre cut off for the year. Some policies allow you to drive five or six thousand kilometers yearly whereas some policies don’t allow you to use the car for daily driving whatsoever. Actual vs. Agreed Value: You need to understand if the insurance company will pay the actual or market value in the event of a major accident or write-off. The market value may not reflect correctly the true value of your car. Depreciation and Appreciation: Insurance companies know the depreciation concept quite well but may not be familiar with classic cars appreciating in value as time goes by. Make sure this is reflected in your policy or you may not get the fair payout you deserve. Replacement Parts Policy: Since many owners are painstakingly adamant to have authentic parts on their car, you have to establish that should the need arise, the cost of replacing damaged parts is reflective of the actual value. Car Storage: The insurance companies often insist that your classical car be stored in a garage or a secure facility – do not forget to clarify that. Regular Auto Insurance Policy and Driving history: Many insurers will deny you a classic car coverage if you do not have a regular insurance policy for a vehicle you drive on a daily basis. Some insurance companies want you to have at least a 10-year driving history. Additional Features: Make sure to highlight an extra safety or security features added to your classic car, as you want to take full advantage of any rate discounts available.